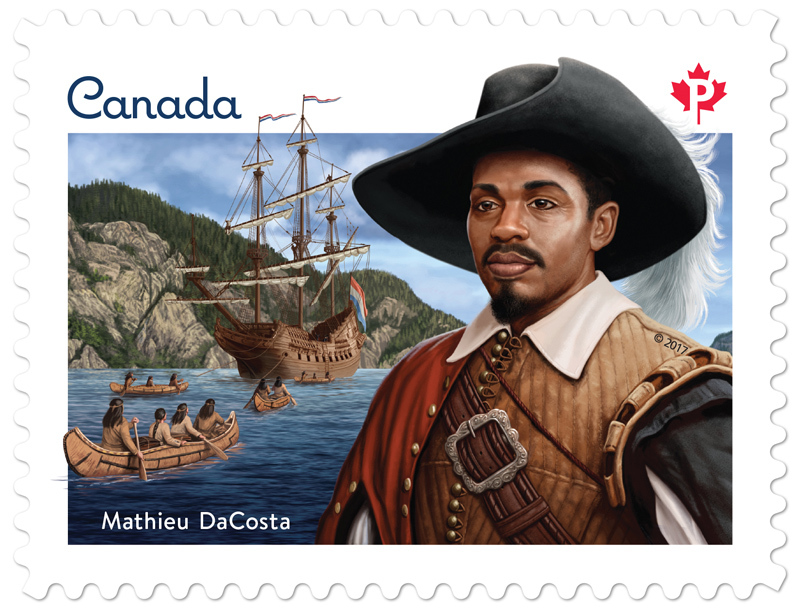 The stamp features an image of Mathieu Da Costa, an explorer and interpreter from West Africa who is believed by some to be the first named person of African descent to reach Canada. 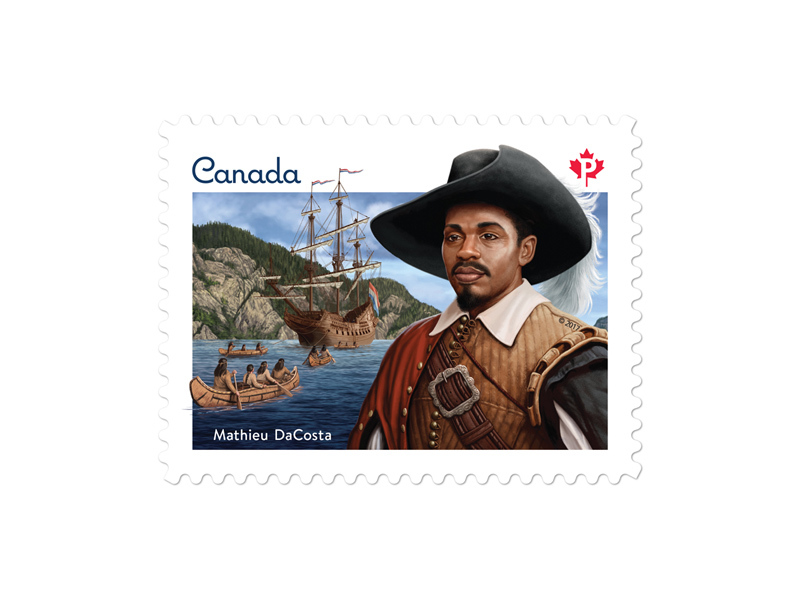 A skilled linguist who was proficient in several languages, Da Costa accompanied multiple European expeditions to the New World, where he earned a living by facilitating deals between fur traders and Indigenous people. 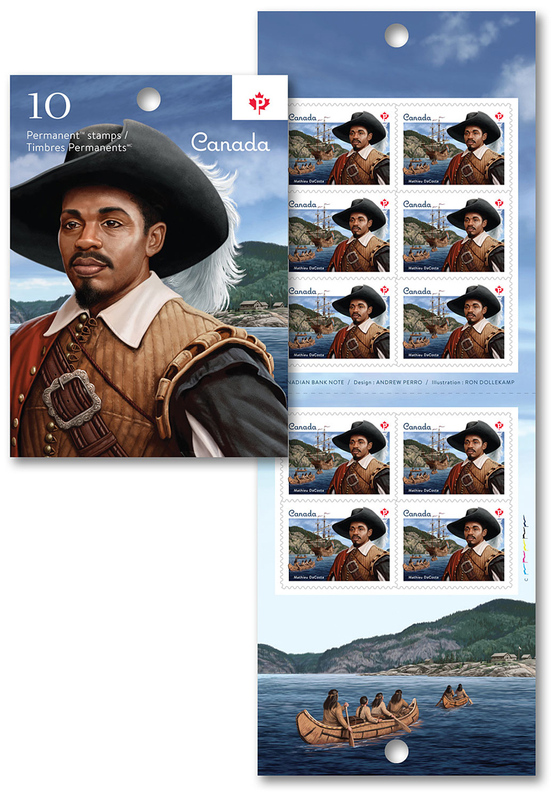 Designed by Andrew Perro and illustrated by Ron Dollekamp, the stamp depicts Da Costa in the foreground, dressed in period clothing. In the harbour behind him, several canoes carrying Aboriginal people paddle toward a sailing ship. 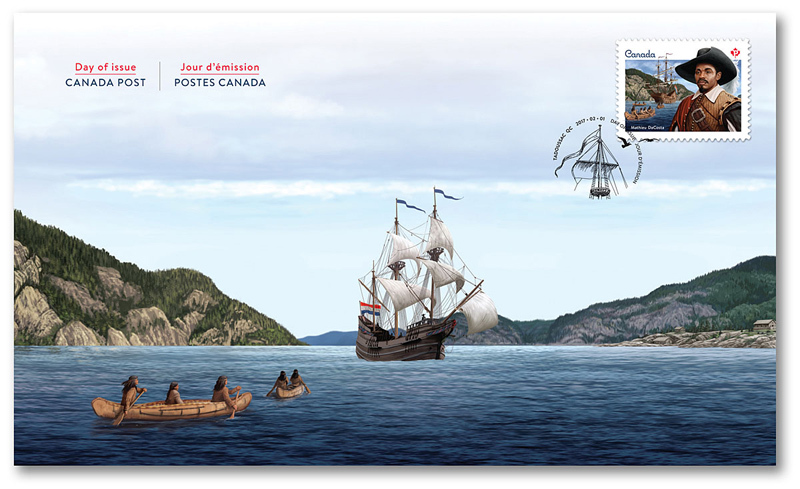 As with all stamp issues in 2017, Canada’s sesquicentennial, this stamp has been treated with special tagging to mark the occasion. The words ‘Canada 150’ and a red sesquicentennial logo appear along the top of the stamp when viewed under black light.